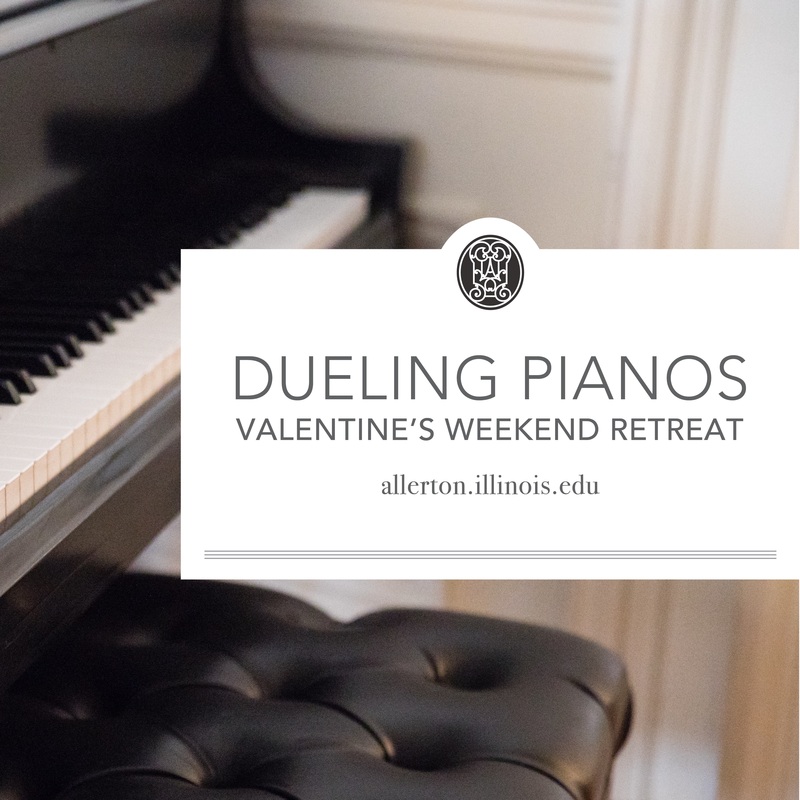 This Valentine’s, Felix and Fingers Dueling Pianos is coming to Allerton! Dance the night away with your sweetie or a group of friends and enjoy passed hors d’oeurves + a cash bar as this all-request show entertains with classic sing-alongs and high energy dance tunes. This is event is part of our Valentine’s Weekend Retreat. If you would only like to attend Friday Night’s Dueling Pianos show, please be sure to select the “Friday Dueling Pianos” ticket option. $35/person, all sales final. Check out what’s included in these other Valentine’s Weekend Retreat ticket options!